Pres. 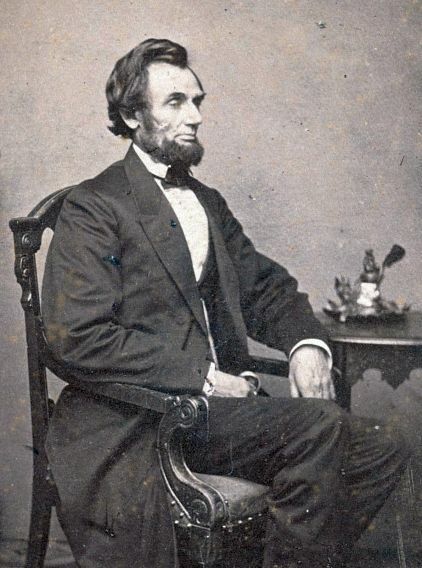 Lincoln, photographed by Alexander Gardner a few months before the Battle of Mill Springs, ordered his generals to push south through areas of eastern Kentucky and Tennessee that were sympathetic to the Union. Library of Congress. Since the start of the Civil War, Abraham Lincoln had been obsessed with eastern Tennessee and Kentucky. He was familiar with the area, having been born in a one-room log cabin near Hodgenville, Kentucky, in 1809. Both his parents, and later his step-mother, were from the state. Lincoln knew that the foothills of the western Appalachians were like a long knife of Union-loving territory lodged in the Confederacy’s vitals all the way down to north Georgia. While the central and western divisions of Tennessee had voted overwhelmingly to leave the Union in June 1861, residents of the state’s eastern third elected to stay in by a margin of 32,923 to 14,780. The section’s most popular newspaper, until its suppression by the Confederates in October, was the Knoxville Whig of publisher-editor William G. “Parson” Brownlow, a poison-penned Methodist minister whose favorite printed description of the Confederacy was that it was “hell-born and hell-bound.” The Whig was a daily Bible for hardy, insular mountaineers, whose hilly farmsteads could neither support nor afford slave labor. These tenacious people hated slavery — less from sympathy for the slaves than from deep resentment of the political dominance of Tennessee politics by their aristocratic owners. At the start of the conflict, two thousand hill men who had hardly ever left their counties before defied the new Confederacy and hired guides to lead them on foot trails through mountain passes into Kentucky to enlist in the Federal army. Although a relatively small engagement, the Battle of Mill Springs had important repercussions in the Civil War. Lincoln wanted to give this knife in the Confederate stomach a twist. He believed that if the area’s loyalist flame were ignited by the arrival of Federal troops, the result could cripple Confederate forces back East in front of Washington by severing Richmond’s rail lifeline to the Deep South. He also hoped capturing East Tennessee would make the region a cancer in the middle of Dixie and foster uprisings of Union-loyal elements all across the South. That early strategy of Lincoln’s would lead to the fight at Mill Springs. Union leaders in the area and in Washington first plotted disruptions. A Rev. William B. Carter snuck out of the region in late September with a scheme to torch the railroad bridges in coordination with an army advance into East Tennessee. Carter first approached Federal officers in Kentucky and the expatriate Andrew Johnson, the eloquent East Tennessean who had derided secession and continued to serve in the U.S. Senate as the lone Southerner. Carter was sent to the top of the chain of command to confer with Lincoln and Army of the Potomac commander McClellan at the White House. They gave him a secret payment of at least twenty-five hundred dollars to bring his plan to fruition, and Lincoln issued orders for the army in Kentucky to move south and invade East Tennessee. William "Parson" Brownlow was arrested by the Confederacy for instigating the burning of bridges in the South. After the War, he would be elected to the Senate from Tennessee. Courtesy Allen County (IN) Public Library. The resulting harsh Confederate crackdown on East Tennessee’s loyalists with hangings and imprisonments, including the venerable “Parson” Brownlow himself, added a pall of guilt to Lincoln’s East Tennessee anxiety. Sherman, shattered, asked to be replaced and quickly was, with the highly regarded but balky career officer Gen. Don Carlos Buell. Lincoln pushed more desperately for a drive on Knoxville, and finally, after protesting repeatedly and with reason about the miserable mountain roads and extreme supply difficulties, Buell, on December 29, gave Gen. George Thomas the go-ahead. But Buell had held Thomas back so long that his deep reservations about the roads were more than justified. Such thoroughfares as existed through the mountains at all were only marginally usable in good weather, and in mid-winter they were creeks of clay. It took Thomas’s column seventeen days to travel the sixty-five miles to little Logan’s Crossroads, the junction with the road leading eleven miles south to Gen. Felix Zollicoffer’s Confederate base at Mill Springs. This was the farthest south a Federal force had been allowed to go since the start of the war, though, and Thomas was due some credit for the achievement. For two months, Gen. Thomas had been the man in the middle, a position he was familiar with from the war’s outset. A West Point-trained career officer and native Virginian in the antebellum army who served under Robert E. Lee, he suffered the rage of his sisters after deciding to stay with the Union. They turned his picture against the wall, destroyed his letters, and never spoke to him again. Native Virginian Gen. George Thomas was shunned by his family for remaining in the Federal army. 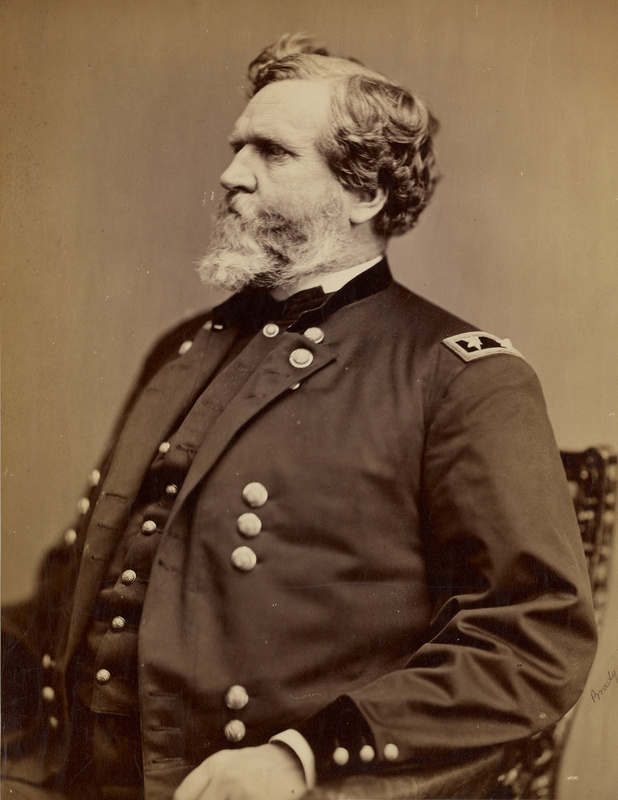 Given the nickname "Slow Trot" at West Point, Thomas was a deliberative commander who nevertheless won numerous engagements in the War, later becoming known as the "Rock of Chickamauga." Courtesy of the J. Paul Getty Museum. Buell, arrogantly insecure and focused on preparing to fight rather than actually fighting, was no more disposed to offer battle than his eastern commander and even more impervious to the political necessity, at this point, of doing it. He had left Washington for his new assignment two months earlier espousing the Lincoln-McClellan idea that the East Tennesseans had to be rescued quickly, but he became quietly insubordinate on reaching Kentucky. Five days after Thomas moved out of Lebanon toward Mill Springs, Buell conveyed to Lincoln his conviction that the railroad stretching south from Louisville to Nashville, although less direct, offered the easiest route to freeing the East Tennesseans. “I have no fear of their being crushed,” he blithely wrote McClellan. President Lincoln sought to cut the critical railroad line between the Confederate Army threatening the Nation's Capital and their supplies in the West. Thomas had been volunteering for months to try to take the more direct route, through the gaps and passes along the Eastern Kentucky-East Tennessee border. Even now, it seemed a chance worth taking. As Lincoln had noted, this march would be unlike Federal operations in many other parts of the South because it would be made through remote non-slaveholding, hill-country counties where the majority of local sentiment was rabidly Unionist. And, if successful, it would cut that vital stretch of Confederate railway between Dixie’s supply-laden interior and the northern Virginia theatre on which most of Washington was fixated. By mid-January, however, the weather had deteriorated to the point that Thomas himself questioned the wisdom of the march. He remained resolved, though, to do what he had come to do: destroy, capture, or at least chase out of eastern Kentucky the few thousand Confederates under Gen. Felix Zollicoffer who comprised the right wing of Gen. Johnston’s long, tenuous defense line. That brought Thomas, on January 17, 1862, to this road junction at the farm of a family named Logan, where he had to await four of his eight-and-a-half regiments that had fallen behind on roads plowed into frigid swamps by passage of his lead units. 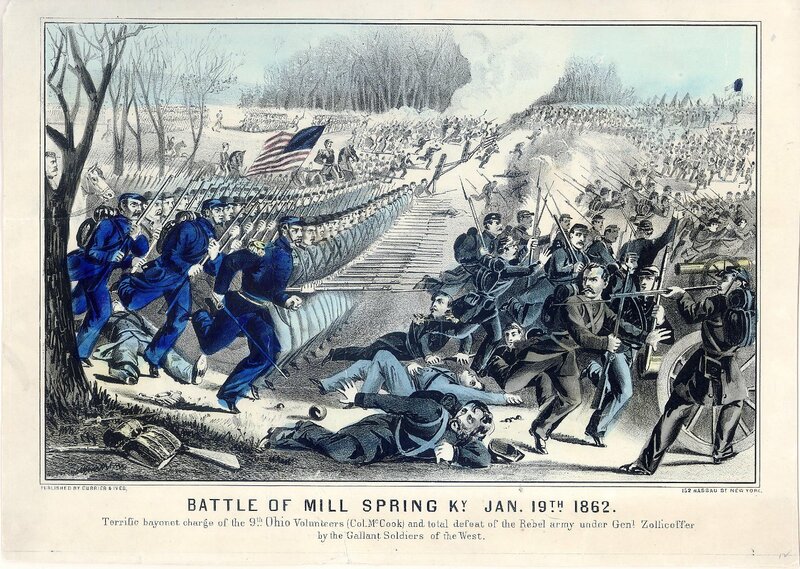 Mill Springs may have been a small engagement relative to some other Civil War battles, but for the 11,000 men who fought there in the mud and cold rain, it was a brutal slugfest. Courtesy Library of Congress. With Thomas at Logan’s were infantry regiments from Indiana, Ohio, and Minnesota, the First Kentucky Cavalry, and a battery of Ohio Light Artillery. Just eight miles down the road at Somerset, there were two more brigades of Union troops under Gen. Albin Schoepf. But as the rain continued and rivers rose, Thomas feared isolation, and he ordered Schoepf to hurry out a brigade of temporary reinforcements until his straggling units could catch up. Schoepf sent the so-called Tennessee Brigade, comprised predominantly of the escaped East Tennesseans who were eager to march homeward. Their commander was Brig. Gen. Samuel P. Carter, brother of the Rev. William B. Carter who was a principal author of the bridge-burning plot. When the Tennessee and Kentucky brigades arrived at Logan’s that evening, their soldiers had to bivouac hungry and at the mercy of the elements, their tents and rations having been left behind in wagons halted by the rising waters of Fishing Creek. The men had been forced to cross the flooding stream on foot just to get to Logan’s at all. “Here we remained through the day and night of the 18th, exposed to the excessive rains without shelter,” reported the Twelfth Kentucky’s Col. William Hoskins. Both sides fought at Mill Springs without food supplies, and their tents, blankets, and other equipment were far away. Earlier that day, Thomas had sent two of his lagging units off with a wagon train and a day’s rations to capture a large Confederate forage party reported to be camped six miles from Logan’s. Normally prudent, Thomas had let himself get separated from his four lagging regiments near a significant force of the enemy and then had neglected to command his men to entrench. But he may have committed some of these seeming errors intentionally. Thomas originally planned to attack the Confederates’ left flank at Beech Grove, across the flooded Cumberland from Mill Springs, so as to separate them from the best places to re-cross the river while Schoepf assaulted them frontally. But Schoepf, a half-Polish Austrian who had fought in Europe, dissented and proposed an alternative scheme to draw the Confederates into the open. Thomas, who had battled Seminoles in Florida and Comanches in Texas, liked the trickery idea enough to forward it to Buell. Although he never said so in a subsequent report, Thomas apparently hoped to provide a target inviting enough to lure the Confederates out of the Beech Grove trenches. Entrenching his own men would hardly have done the trick. To insure that his encampment would have adequate warning of an attack, though, Thomas did order the positioning of three successive picket lines. 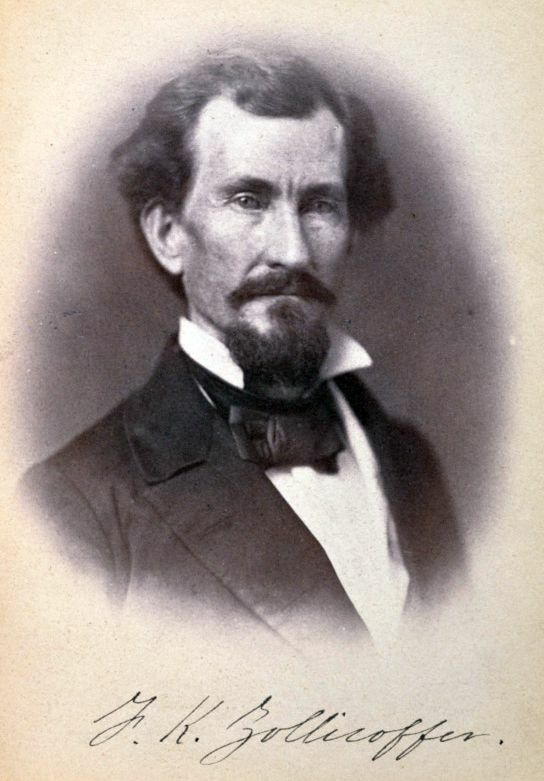 Gen. George Crittenden, the son of prominent Sen. John Crittenden of Kentucky who remained loyal during the war, fought for the Confederates while his brother, Thomas Crittenden, was a general in the Union Army. George was demoted for the loss at Mill Springs and for alleged drunkenness. At Beech Grove, new Confederate wing commander George B. Crittenden — youngest son of Union loyalist Sen. John J. Crittenden of Kentucky and brother of Federal Brig. 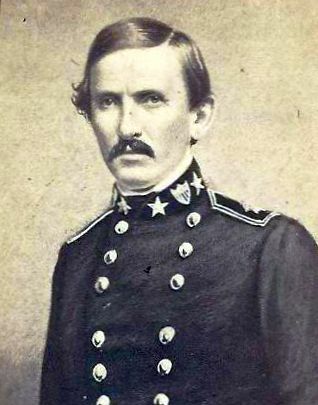 Gen. Thomas L. Crittenden — knew he was in precarious straits. A few weeks earlier, in early December, Zollicoffer had crossed most of his men over the Cumberland River to Beech Grove from Mill Springs — one day before receiving a letter from Johnston ordering him not to do so. Here, the river made a horseshoe bend to the south, and Zollicoffer thought his force needed to be inside the horseshoe. “The river protects our rear and flanks,” he wrote Johnston on December 10. He did not see that, as Johnston soon emphasized to Crittenden in Knoxville, he had “the enemy in front and the river behind.” That, of course, risked doom. The rains having made the river unfordable, Zollicoffer had become trapped. On December 13, just four days after Zollicoffer’s errant crossing of the river, Crittenden was assigned command over eastern Kentucky — and over the hapless Zollicoffer. Crittenden quickly ordered Zollicoffer to re-cross to Mill Springs, but, on arriving there to take command himself, Crittenden found Zollicoffer still at Beech Grove with only two flatboats and a “small stern-wheel steamboat,” the Noble Ellis, “unsuited for the transportation of horses” or artillery. Knowing he had to act fast, Crittenden reacted with boldness, or maybe panic. Contrary to all wishes and expectations of his departmental commander, he notified Johnston that, “threatened by a superior force of the enemy in front and finding it impossible to cross the river, I have to make the fight on the ground I now occupy.” Johnston had not wanted him to make a fight at all. The Confederates launched an attack against the Union forces early in the morning of January 19, 1862. Map drawn by Hal Jespersen. Then Crittenden found that not only was he unable to retreat across the river to Mill Springs because of lack of boats, he could not even fight on the ground he occupied. Beech Grove was an unfit position in which to resist a determined attack. With no engineering help available to him, Zollicoffer had selected a site commanded by surrounding heights and one from which artillery could not work well against advancing infantry. Crittenden called a hurried conference of his senior officers on Friday evening, the 17th, and proposed to beat Thomas to the attack. A majority of the senior officers apparently agreed, although as the men readied their weapons and other gear, camp scuttlebutt had it that Zollicoffer and others had opposed the plan. Saturday evening, having learned by then that Thomas was separated from the units in his rear and also, Crittenden hoped, from Schoepf, the Confederate commander called another council of war. At this meeting “it was determined, without dissent, to march out and attack the enemy . . . the next morning.” That meant they had to depart Beech Grove at once, and they did. At midnight, Crittenden got his whole force moving northward into a “night . . . dark and cold,” with bitter winds driving sleet and rain in the soldiers’ faces. They were on the road to Logan’s taking Thomas’s bait, if that was what it was. Zollicoffer’s brigade of soldiers from Mississippi and Tennessee and four cannon took the lead. They were followed by three Tennessee regiments plus two cannon commanded by Captain McClung, all of which comprised another brigade under Brig. Gen. W. H. Carroll. Behind these toiled the reserve, an Alabama regiment plus cavalry battalions commanded by Lt. Cols. Branner and McClellan. The rain-drowned road was more like a canal; in places, the mud and water were more than a foot deep. 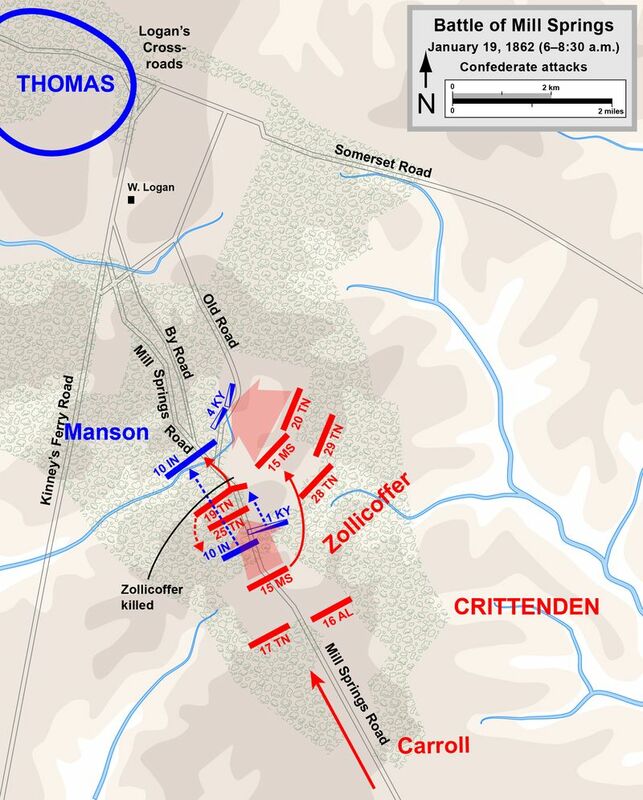 It took Crittenden’s little army six hours to wade the nine miles to where Thomas’s cavalry pickets waited. Not only were the Confederates weary by the time they began arriving, but the forward units were three miles ahead of the rear ones. The Battle of Mill Springs proved a costly defeat for the Confederacy. Currier & Ives. Around 6:30 a.m. on January 19, shortly after dawn, Confederate cavalry drove mounted pickets of U.S. Kentucky Cavalry back a quarter-mile to a log house just left of the road, where they met a hot fire. The road continued straight northwestward over small hills and swales for nearly a mile, then forked into a Y at an intersection with the so-called “Old Mill Springs Road.” The latter angled off due north while its newer, parallel successor continued northwestward a quarter-mile or so to the left; both forks led toward the camps of the Federal regiments. Between the Confederates and the Y were two low, round ridges divided by the road into two fields. At the first ridge’s foot stood another log house that soon became a bloody Confederate hospital. The battle along the Mill Springs road just south of the forks would be a three-and-one-half-hour slugfest revealing weaknesses that would dog Confederates in the West for the rest of the war. The worst involved weaponry. Despite efforts by Governor Harris to collect workable guns from civilians the previous fall, many of the Tennessee Confederates were armed with aged flintlock muskets yet to be converted to percussion-caps and thus requiring priming powder that was difficult to keep dry. And some of the men were recruits so raw that they had been assigned to their unit just a day earlier and knew almost nothing of drills and commands. But they could fight. A company of Mississippi skirmishers moved to the left of the road and, amid hot fire, drove pickets of the Tenth Indiana out of another log cabin and adjoining woods at the foot of the second ridge. The Mississippians then crossed the road to rejoin their regiment, while behind them, staying on and to the left of the road, came the Nineteenth Tennessee driving straight ahead, double-quicking across the field and into the woods. There they met and drove backward the main body of the Tenth Indiana. The Confederate attack almost reached the forks of the road and came near overrunning the horses of the Federal cavalrymen, who were desperately fighting on foot at the Indianans’ right rear. 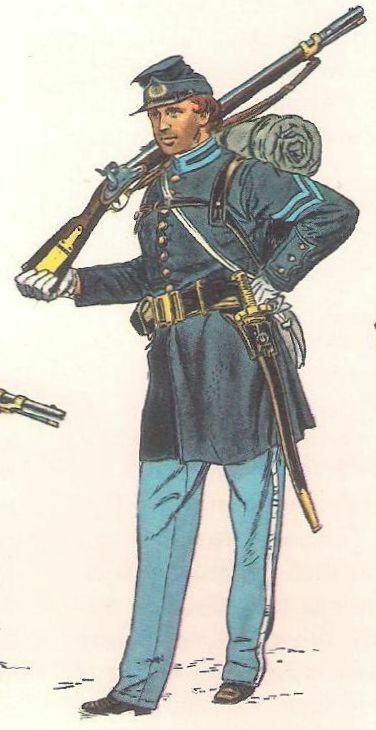 Some Confederate uniforms early in the Civil War were blue, like this one worn by the 5th Volunteers of Georgia, causing tragic confusion in the heat of battle. Thomas, roused from his headquarters bed, reached the field about the time his Second Brigade commander, M. D. Manson, sent in the Fourth Kentucky to reinforce the reeling Tenth Indiana. The Hoosiers, commanded by Lt. Col. William Kise, had been “thinned and mutilated,” but they had stemmed the Confederate tide alone for almost an hour. 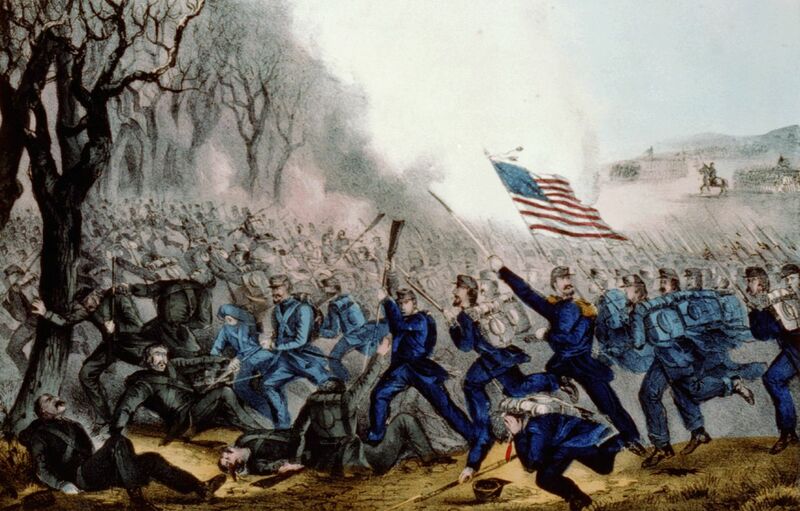 The Fourth Kentucky now steadied the Union left by opening a “deadly fire” into the ranks of the Fifteenth Mississippi. The Kentucky Federals then charged out of the trees into the hill-crowned field east of the road. Broken by a fence bordering the “Old Mill Springs” fork—the right arm of the Y—and then a creek bed running nearly parallel to the fence, this field hosted a struggle that “became very warm,” reported Col. Speed Fry of the Federal Fourth Kentucky Infantry. The Confederates used the creek bed for cover to move their troops onto the Fourth Kentucky’s right flank, which had been left naked when the Tenth Indiana fell back under the assault by the Fifteenth Mississippi and the Nineteenth Tennessee. 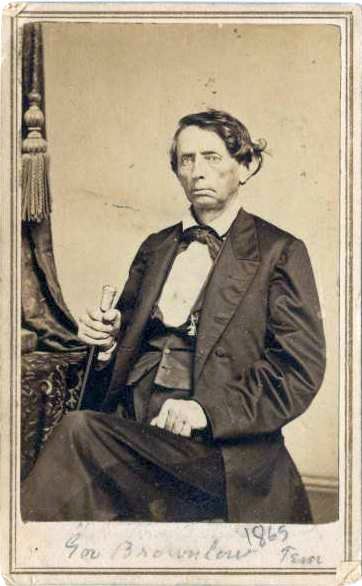 Gen. Felix Zollicoffer, a newspaperman and three-term Congressman from Tennessee, was typical of Civil War generals appointed for political reasons who lacked critical military training. Courtesy of the J. Paul Getty Museum. “Who are you?” Walthall yelled, apparently wanting a unit number. The reply he got was the same as before, so he ordered the unfurling of a Confederate flag. The banner immediately received a volley of shots, which riddled its folds and put twenty balls in the body of an accompanying lieutenant. Fry agreed and was moving back toward his regiment to comply when a Zollicoffer aide rode out of the woods. Seeing that Fry was a Federal, the aide fired, hitting Fry’s horse with a shot that also slightly struck the colonel himself. Fry spurred his wounded animal away and fired a pistol back toward Zollicoffer. Some of the men of the Fourth Kentucky fired, too. Zollicoffer was killed after mistaking the identity of a Union officer. He was the first Confederate general to die in the Western Theater. Courtesy of Mill Springs Battlefield Association. Zollicoffer was struck by a ball from a pistol and two more from muskets, one of the shots striking his heart. He died immediately, perhaps in the process of realizing his mistake. The Nineteenth Tennessee, having been ordered not to fire, had to endure a dismaying fusillade from the Union soldiers in the Fourth Kentucky. The Mississippians under Walthall, unhampered by any no-fire order, charged and nearly broke Fry’s right. Then Thomas sent the Tenth Indiana back to retake the position it had first occupied to the right of Fry. News of Zollicoffer’s death spread fast, and in the interval in which the Nineteenth Tennessee stopped firing, the Confederate drive stalled. A subsequent general advance by Carroll’s supporting brigade could not regain the Confederate momentum. Confederate soldiers were seriously hampered by having to fight with outdated and unreliable muskets. To reinforce Kise and Fry, who now were almost out of ammunition, Thomas ordered up the Second Minnesota and the so-called Bully Dutchmen of the Ninth Ohio, who already had seen action in western Virginia. The Dutchmen went in on the Federal right, while the Minnesotans took over for Kise and Fry. The Second Minnesota’s right ended up “about 10 feet from the enemy” at the fence, where the fighting was virtually hand-to-hand. Confederates and Federals “pok[ed] their guns through the same fence,” reported the Ninth Ohio’s Colonel Robert McCook. The Minnesotans and Mississippians repeatedly assaulted each other for control of the fence, but the Ninth Ohio’s charge on the Union right stopped the Confederate flanking attempt, and the Southerners “retired in good order to some rail piles, hastily thrown together, the point from which they had advanced upon the Fourth Kentucky,” McCook wrote. The Confederates were forced to retreat in the face of strong Union counterattacks, resulting in the first Union victory of the War. Map drawn by Hal Jespersen. On the other end of his line, Thomas had sent Samuel P. Carter’s Tennessee Brigade to smother a bid by the Confederate Twentieth Tennessee to turn the Union left. With both their wings overlapped and the enemy’s center reinforced, the Confederates began to give ground, getting beaten by not only superior generalship but by luck and greater firepower. A member of the Nineteenth Tennessee wrote that he saw “two or three of the boys break their guns over the fence after several attempts to fire them.” In the Twentieth Tennessee, another soldier recalled that “one-third of the arms of the Confederates” were “useless,” and many that did work operated so poorly in the rain that they were able to be fired no more than a dozen times throughout the battle. 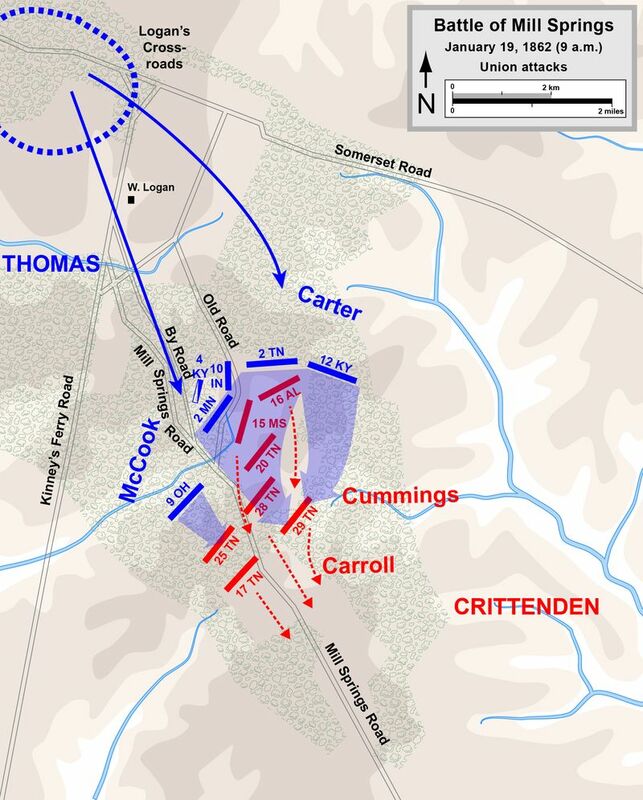 With Crittenden’s counterattack foiled, his lead units, the Fifteenth Mississippi and Nineteenth Tennessee, fell back in the face of a mid-morning Federal counterthrust and Southerners now streamed from the field. A retreat to Beech Grove was ordered, but “it did not take much ordering,” W. J. McMurray of the Twentieth Tennessee would remember. Confederate doctor W. J. Worsham recalled that during the battle he “picked up a Yankee overcoat and put it on in the cold rain,” only to remove it and throw it over the wet ground for a mortally wounded comrade to die on as “the whole line” gave way. W.J. Worsham, a 22-year-old bugler in the Confederate Army during the battle, later became a doctor and wrote a memoir about his dramatic experiences. The Confederates retreated back down the Mill Springs road. It had taken them six hours to travel it before dawn, but they now made better time, leaving behind one mired cannon and an appalling litter of haversacks. 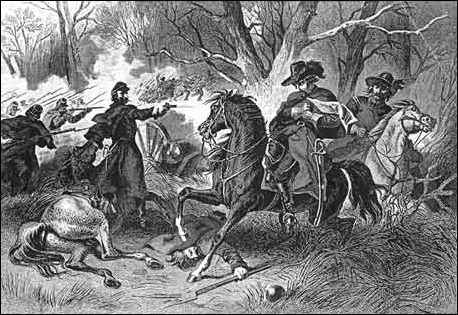 The Federals pursued, but with a deliberateness that would come to be regarded as characteristic of Thomas in this war. The heavy mud was one reason for their measured pace. Another was that many of them, having entered the fight without breakfast, continually stopped to rifle the discarded Confederate packs and sample the contents: bacon as well as cornmeal ground by the facility for which Mill Springs was named. It was late afternoon before Thomas’s lead elements reached Beech Grove and started shelling its fortifications. Almost as soon as night fell, Crittenden began ferrying his men across the Cumberland on what was virtually their sole conveyance, the small steamboat Noble Ellis. He managed to get the men out, but that was all. Next morning, the Fourteenth Ohio and Tenth Kentucky moved forward to lead an assault and found Beech Grove deserted. At the ferry crossing below the bluff they discovered a crush of eleven artillery pieces, more than 150 wagons, and a thousand horses and mules. Even the steep road up the far bank was strewn with baggage, and the Noble Ellis had been set afire and sunk. “General, why didn’t you send in a demand for surrender last night?” Col. Fry asked Thomas, noting all the evidence of Confederate panic. The Union commander looked up, hesitated, and then admitted a mental lapse. "Why didn’t you send in a demand for surrender last night?”, one of his aides asked Gen. Thomas. Worsham wrote that they lived on this parched corn “almost the entire ten days” of their frantic, hundred-mile straggle from Mill Springs to Gainesboro, Tennessee. 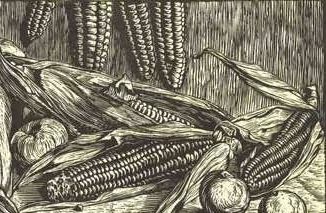 The Confederate soldiers had little more to eat than parched corn in their ten-day march to Gainesboro after the battle. Official tallies would eventually show that the Confederates lost 125 men killed and 404 wounded or missing out of the 6,000 or so engaged. The Federal forces lost 39 killed and 207 wounded from their 4,400 men. It was a small engagement relative to many larger fights during the war, and the nation’s attention would shift to Gen. Ulysses S. Grant’s stunning victories weeks later at Fort Henry and then Fort Donelson. But Johnson was correct in that the battle at Mill Springs served to break the Confederate line of defense in eastern Kentucky, and led to the fall of Nashville on February 25, 1862. Abraham Lincoln’s goal of pushing south through areas of eastern Kentucky and Tennessee sympathetic to the Union would prove to be sound. Copyright © 2007 and 2019 by Jack Hurst. Portions of this essay were excerpted from Men of Fire: Grant, Forrest, and the Campaign that Decided the Civil War (Basic Books).